CRIToccult and Occupation: Artist with Guests Iris Eichenberg and Peter Deckers. 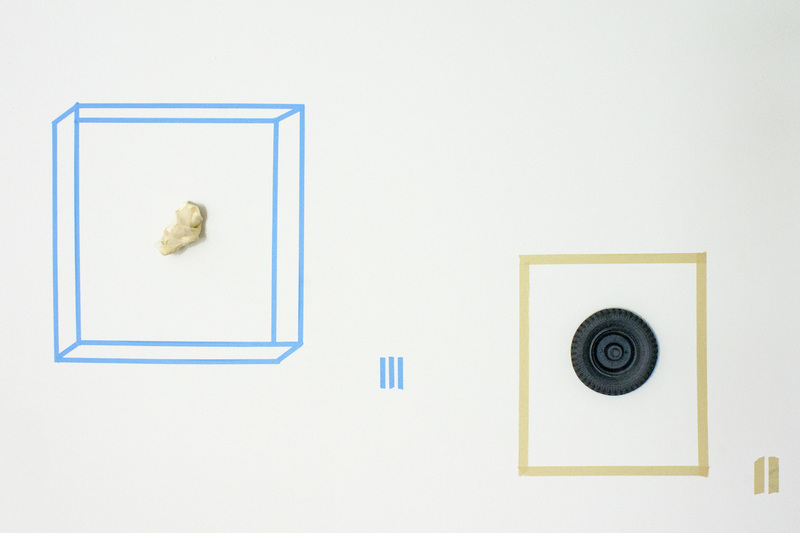 The SupBrooch exhibition and print catalog is the first of One Wall Gallery's exhibitions and is intended to be a survey of brooches both made for and worn exclusively by men. A large scale exhibition featuring the work of 8 contemporary artists who work in the greater Tidewater and Richmond region of Virginia. Presented at Fawn Street Studios in Norfolk, Virginia, the show features work in a wide variety of media including drawing, glass, jewelry, metal, painting, and mixed media sculpture. The human, spiritual and animalistic experiences and memories that form the very basis of life are explored in the work of the contributing artists. Artists exhibiting include: Victoria Farr, Kristy Heilenday, Kelly Herring, Sam Hundley, Alan Jelercic, Jane Ritchie, Avery Shaffer, and Victoria Weiss. 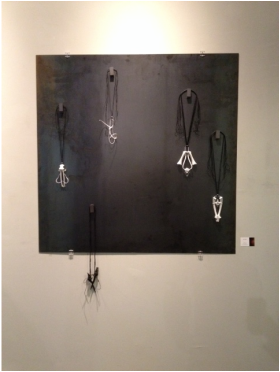 Re:View Contemporary Gallery is pleased to present Jewelry in Proximity. 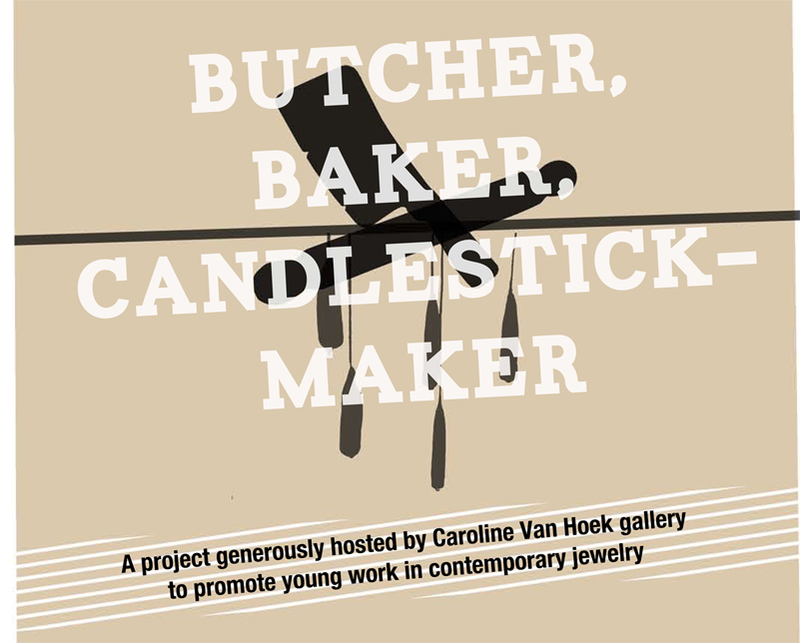 In May 2013 at the Society of North American Goldsmiths Conference in Toronto, curators Julia Heineccius, Nadege Roscoe-Rumjahn and Iris Eichenberg launched This End Up; a jewelry exhibition featuring work from three international schools. Displayed in a shipping container, a myriad of jewelry and body/objects mingled together for the first time, each piece paired with another from a different institution to encourage and strengthenconversations between peers. In this way, This End Up revealed the thought lines and patterns happening simultaneously within the contemporary art jewelry community, and allowed others to experience their conversations. Jewelry in Proximity is a continuation of this exhibition, with the addition of several Cranbrook Alumni that reside in Detroit as well as around the country. By broadening the scope of these relationships, viewers experience a curatorial map in which they can circumvent and participate. Over 40 emerging artists will be represented from three separate institutions: Konstfack (Sweden), Saimaa University (Finland), and Cranbrook Academy of Art (Bloomfield Hills, MI). This special exhibit will be on display through August 31. Cranbrook Exhibition during SNAG 2013 Meta-Mosaic in Toronto Canada. The Cranbrook Acadmey of Art (Michigan) has invited Konstfack (Sweden) and Saimaa University (Finland) to accompany them on a ride. The title THIS END UP, a joint exhibition, is suggestive of destinations, exchange, and differences in perspective. This international collection of jewels is new and familiar, diverse and exciting. Although continents apart, similar formal and conceptual concerns are being tackled by these students, often enabling the same conversations to happen simultaneously within their work. These pieces will have completed their long journey to SNAG, and will be unpacked and shown in this transitory environment. The inside of the shipping container will become a temporary classroom, in which to stimulate dialogue around these represented practices and ideas. We are introducing the students from different schools by engineering a forced encounter of their work. Curatorially, we hope to enumerate on the awkwardness or joy of sitting next to someone unfamiliar on the first bus ride of the year. The Atrium Gallery, The School of Jewellery, Birmingham University. England. Studio Gabi Green, Munich, Germany. As part of Schmuck 2013.
v. sus•pend•ed, sus•pend•ing, sus•pends v.tr. apparent attachment, as by buoyancy. v.intr. 1. To cease for a period; delay. Group show involving the Metalsmithing department. The show was talking about valuation of work both as monetary as well as personal. Students from all departments at Cranbrook were able to offer a piece of work for 'trade' during the exhibition. At the end of the show period the artists could choose to trade with the other artist or not, based on valuation. 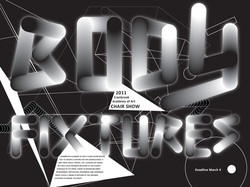 Group show involving two architecture and two metals department students. Collaborative project with fellow Cranbrook students Amy Weiks and Dave Rollins of the Metals Department.